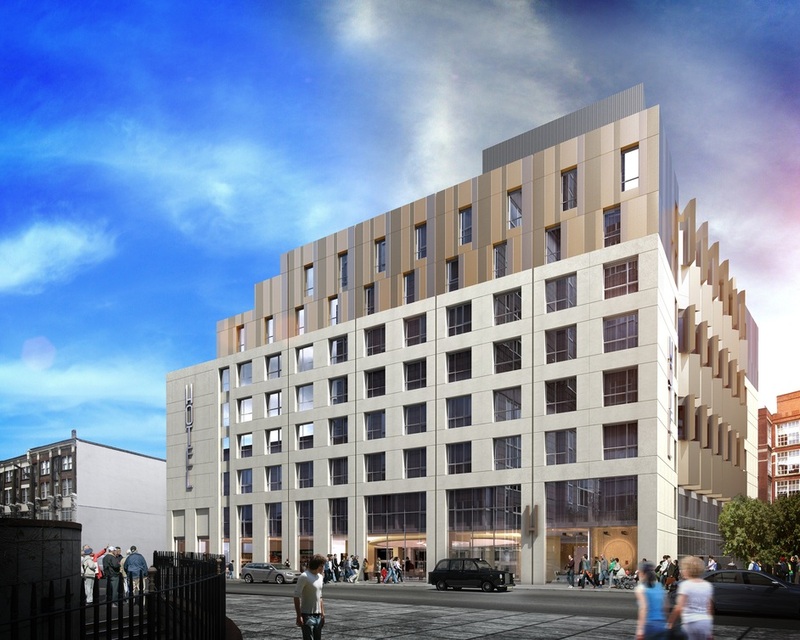 This flagship Travelodge hotel is the largest new build hotel in the 30 year history of the budget hotel brand. The 395-room purpose built hotel on Middlesex Street, close to Liverpool Street Station and between Aldgate East and Aldgate tube stations, offers a little bit of luxury, incorporating the SuperRooms concept Travelodge launched in 2017. As well as the standard affordable rooms you can opt for a 'premium economy' room which dials up the comfort factor with dream-light colour scheme, blackout curtains, a Lavazza coffee pod machine, rain shower, hairdryer and a kingsize bed. All for an extra £13 a night. The £95 million hotel also has a modern Bar Cafe restaurant, open from breakfast onwards. From the front door it's a 12 minute walk to the Sky Garden at the top of the Walkie Talkie and within easy reach of the Tower of London, Gherkin, St. Paul's Cathedral and the City - London's central business district. Petticoat Lane Market is on your doorstep and it's a short 10 minute tube ride to Oxford Circus from Liverpool Street Station. Are you booking for a group of people? If you are making a booking for a group of people and require over 10 rooms, you may prefer to speak to the Group Booking Department for Travelodge London City bookings. Special deals can be arranged for groups, including discounts and arrangements for adjacent and inter connecting rooms if required. Call the Groups Reservations Department on 020 7292 2307. The best way to book a group deal is to complete the online form for group reservations at Travelodge London City. What are the best dining options near Travelodge London City London? Travelodge London City gyms, sporting activities, health & beauty and fitness. The best pubs near London Travelodge London City. Travelodge London City clubs, bars, cabaret nights, casinos and interesting nightlife. Where to have your meeting, conference, exhibition, private dining or training course near Travelodge London City. From cheap budget places to stay to luxury 5 star suites see our special offers for Travelodge London City hotels, including 196 Bishopsgate Serviced Apartments from 85% off.